→Polar Ft4 vs. Ft7 – What’s the Differences? 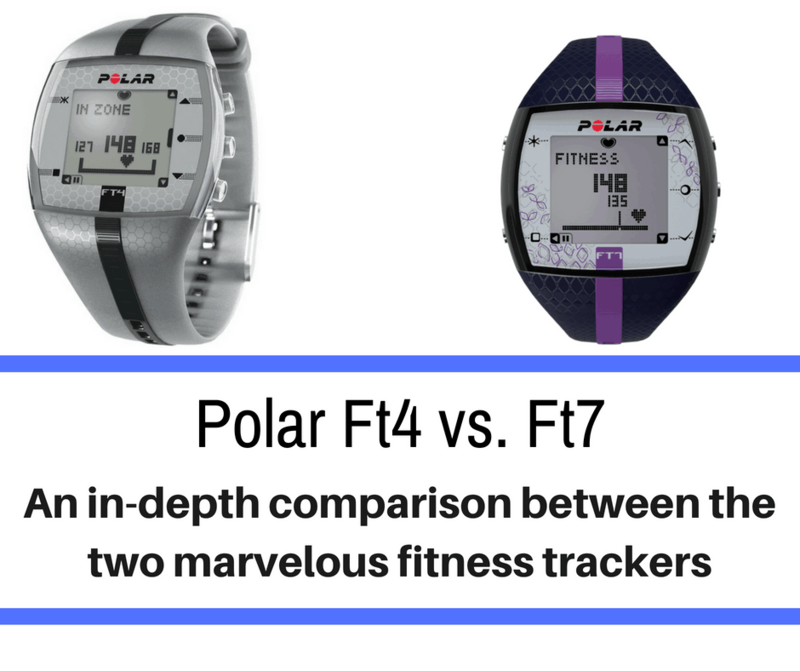 Today, we look at the Polar Ft4 vs Polar Ft7, two similar models with a world of difference between them. Heart rate monitors have become an athletic staple around the 1970s when the company Polar developed the first wireless model. These monitors measure the speed at which the athletes’s heart is beating, which can tell the individual several bits of crucial information about their stress, health, and levels of exertion. 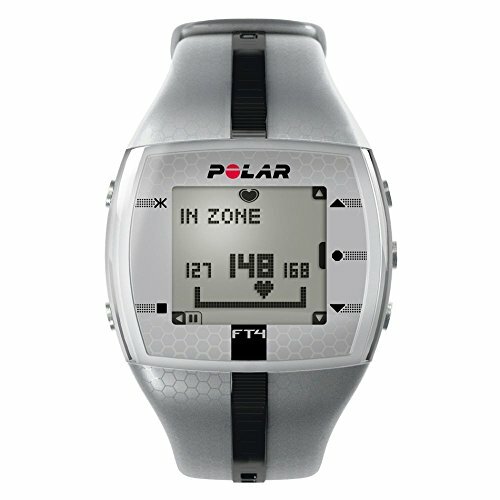 Polar continues to be one of the most major corporations creating and selling portable heart rate monitors. As technology progresses, the monitors can now be work around the wrist like a standard watch. Their devices are so well-made that they continue to be used in scientific studies all around the world. With this in mind, why should an athlete get a heart rate monitor, and which model is best? If you would rather skip the extensive background and features/benefits information, view the chart below breaks down the differences. Yes - Up to 30ft. Yes, Up to 30 Ft. The Polar Ft4 is one of the highest rated products from the company. The monitor’s face is broad and looks like a square with rounded side edges. The screen itself is square and displays information in blocky, black letters for easy reading. It can be found in multiple colors, including pink, blue, and green. The Ft4 tracks continuously, meaning the data is stored. A user can therefore figure out their average rate during any activity, how high the rate gets during exercise, and what their lowest point sits at. Runners can additionally set target zones to reach with different parameters. This rate is determined by either heartbeats per minute (bpm), a percentage of a person’s maximum heart rate, or a percentage of the reserve heart rate. One other feature included in the Ft4 is its ability to track calories burned during a workout session, so people can keep track of their energy expenditures. There are not any additional trackers for steps taken or speed. 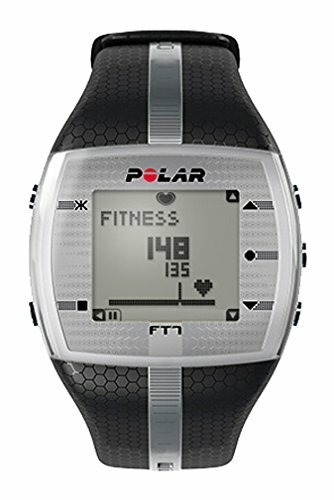 The Polar Ft4 can upload information into compatible athletic devices but not onto a user’s standard computer. Ten files can be stored in the monitor’s memory as well as the last week’s history and workouts. The monitor is also water-resistant and is safe up to 30 ft. underwater. However, this just means it can still be read and users should not touch the buttons. 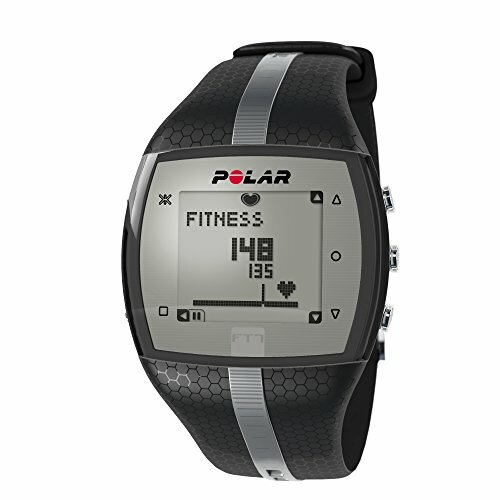 The standard Polar Ft4 runs on batteries and comes with a two-year warranty. The battery appears to run consistently for 12 hours before it needs to be charged. For more information, this quick video from Polar showcases some more features and the overall appearance of the monitor. The Polar Ft7 looks similar to the Ft4 and has the same square shape with rounded edges. Similar to the A360, It continues to be one of the most popular models currently from Polar and has a backlit display with text that is easy to read. The information has the same blocky, black letters and the Ft4. People can switch out the wristbands with ones of different colors, including in shades of blue, green, and purple. 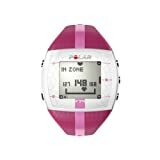 The monitor tracks a person’s heart rate continuously and has extra features that additionally show where a runner is in geographical space. The band is made from soft fabric and can be washed by hand if it gets dirty. The Polar Ft7 is lightweight and many runners claim they forget they are wearing it. People can also manually set a target zone where they would like their heart rate to be. This zone can be categorized by bpm, a percentage of the runner’s maximum heart rate, or a percentage of the heart rate reserve. Ninety-nine files can be stored in the monitor’s memory as well as the past week’s data. 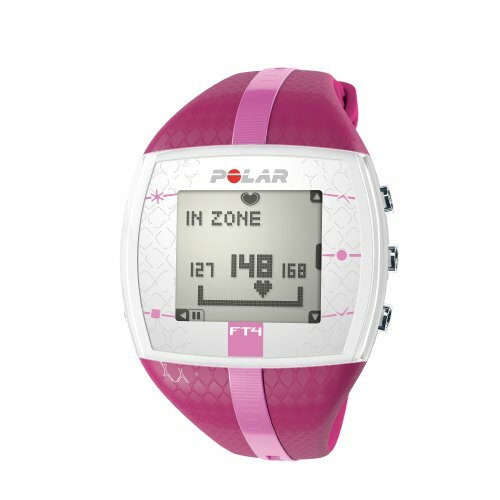 The Polar Ft7 will additionally keep track of the calories burned during a session and is waterproof up to 30 ft. It is not safe for diving and users should avoid touching the buttons in water. The monitor displays the time and date like a regular watch and the display can be lit up for easier viewing. The Ft7 can transfer data to a range of devices, including computers and other exercise equipment. It comes with and requires batteries and comes with a two-year warranty. The battery life is around 12 hours which is about the same as the very popular Polar Loop. This video from the manufacturer shows what the monitor looks like and provides extra information. As mentioned, these two heart rate monitors are similar but also quite different. Both have great reviews, but how do they compare in sheer usefulness and technical parameters? This chart breaks it down. The Polar Ft7 displays more information, has a better memory, and can connect to more machines. It is also lighter and people tend to find it more comfortable. However, it is also more expensive than the Ft4. For some runners, spending a little bit more money might be too much to spend on a heart rate monitor, while it might work for some others. According to Live Science, heart rate monitors serve an important function when it comes to exercise. The majority of workouts and exercises can be divided into separate intensity zones which determine how hard a person is working. Athletes and runners can estimate which zone they are in by checking their heart rate, which is a more objective estimate than checking how hard someone is breathing. The American Heart Association knows that people should maintain a certain heart rate for optimum health. Going too high puts people at risk of damage, death, and heart attacks. Going too slow indicates that a person is not working hard enough and might not receive the benefits of exercise. A heart rate monitor can help a person determine whether or not they are in that sweet spot in the middle. Runners can figure out their maximum heart rate by following instructions from the Mayo Clinic, which state that a person’s maximum should be no higher than their age subtracted from 220. The chart below demonstrates some of the maximum rates for athletes of different ages. 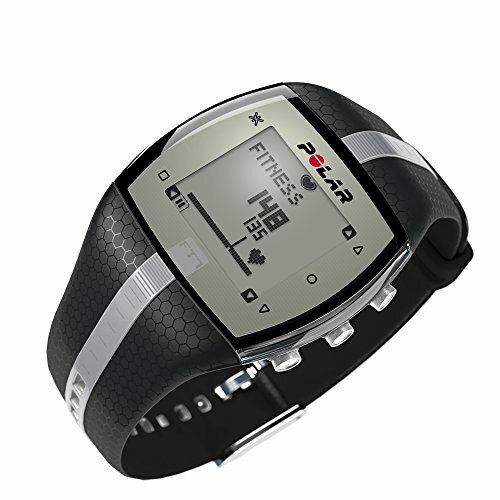 So, a heart rate monitor keeps people in a healthy athletic range. It can also tell a runner whether they are actually working hard enough to make a difference in overall athleticism and endurance, or whether they are going too easy on themselves. In general, the Polar Ft7 is a better fit for runners because of its extra features, greater memory, and ability to transfer information. 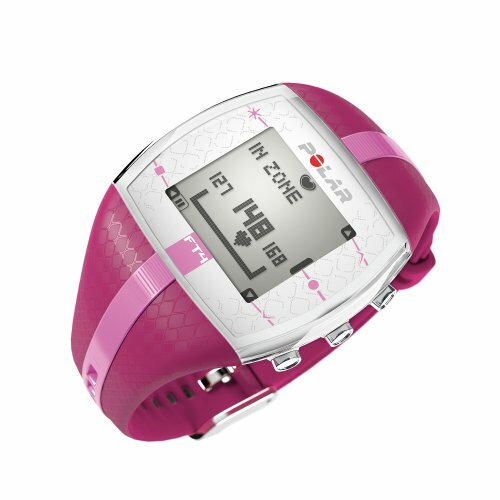 It’s not too much more expensive than the Ft4 to be outrageous, but many people might be unwilling to spend over $100 on a heart rate monitor, and that’s okay.